**THIS ITEM IS CURRENTLY ON BACKORDER. 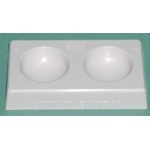 ** Plastic dispensing tray for contact lenses. 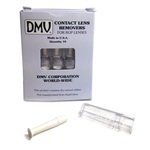 Great for patients that need temporary lens removal. **THIS ITEM IS CURRENTLY ON BACKORDER. 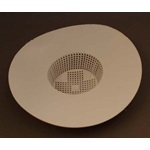 ** A strainer that covers a sink or shower drain to prevent the loss of contact lenses. 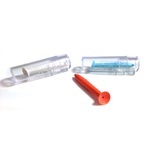 Deep contact lens case with smooth with soft flip. Assorted colors. 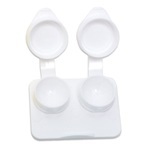 Deep contact lens case with smooth with soft flip. Blue case. 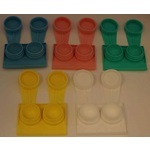 Deep contact lens case with smooth with soft flip. White case. Magic Touch contact lens handler has air duct through center. 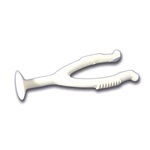 Ventilated squeeze handle allows for easy on and off. 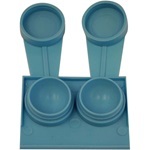 This jumbo contact lens case is great for holding soft contact lenses. Blue case. 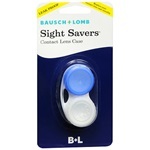 This jumbo contact lens case is great for holding soft contact lenses. White case. 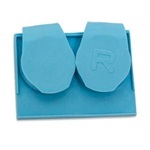 Soft contact lens Inserter/Remover makes lens handling easy. For storage of soft (hydrophilic), hard, and rigid gas permeable (fluoro silicone acrylate and silicone acrylate) contact lenses during chemical disinfection. 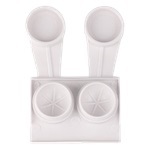 Contact lens inserter/scleral cup with air vent through the center. Inserter is cream colored and measures 31mm in length with a suction cup that is 10mm in diameter and ventilation center that is 2mm in diameter. 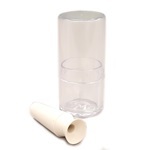 Comes in a clear tube shaped holder that measures 47mm in length and 22mm in diameter. Comes as singles.